Topics: Key Projects, Conservation Research, Community Partnerships, and Mbp's Scientific Publications. 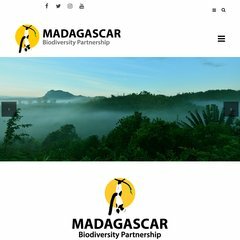 madagascarpartnership... Why Madagascar and who is the Madagascar Biodiversity Partnership? The programming language environment is Phusion Passenger (mod_rails/mod_rack) 3.0.9. There are 2 Nameservers, ns1.doodlekit.com, and ns2.doodlekit.com. It is hosted by Global Net Access Llc (Georgia, Atlanta,) using Apache/2 web server. PING (207.210.122.234) 56(84) bytes of data. A time of 46.2 ms, is recorded in a ping test.